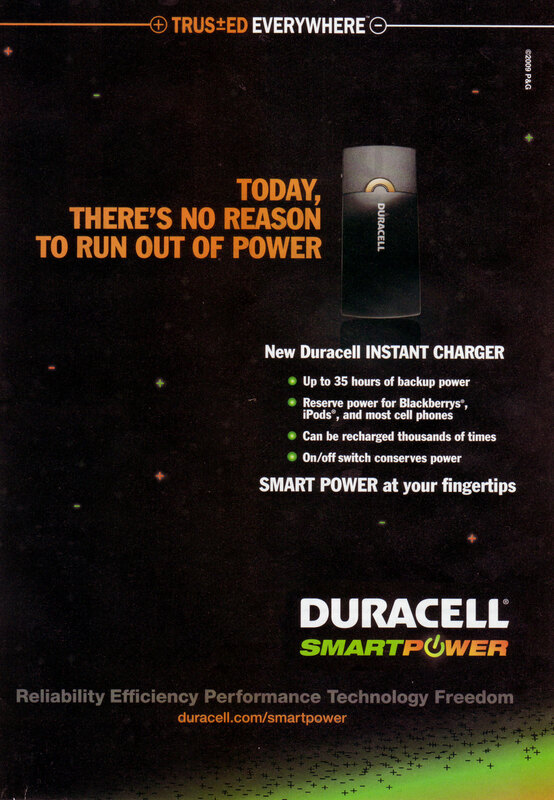 This Duracell ad is an example of bad page layout. The most prominent feature of a bad layout presented in this ad is the alignment and absence of symmetry. There is absolutely no flow through this page. The product they are trying to sell, the instant charger, disappears on the page. There are also too many size changes in the text. The designer tried to use the same color scheme throughout the page with white, orange, and green, but the ad just turns out to be very awkwardly put together. 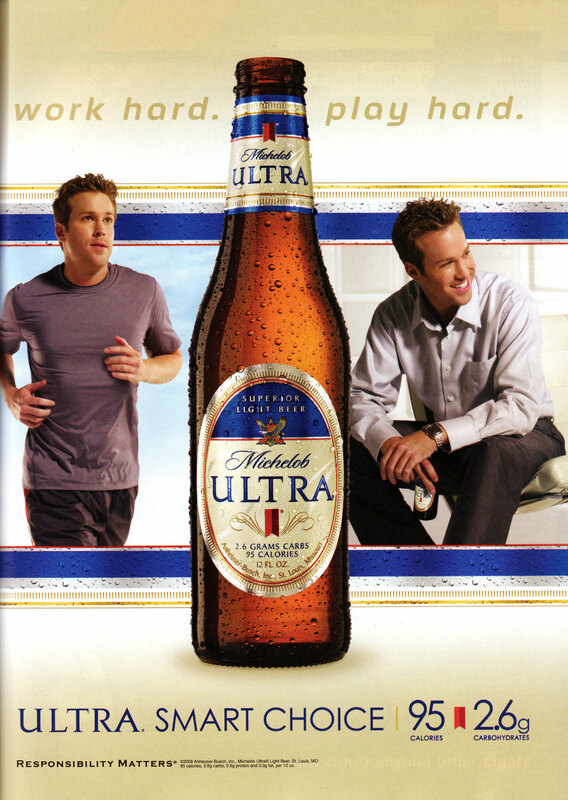 A good example of page layout is the seen in this Michelob Ultra advertisement. There is symmetry created by the bottle in the middle. The man in the ad is “working hard” on the left and “playing hard” on the right. The text above the pictures help get the message across. The color scheme is used nicely, and the idea of using the same colors from the bottle labels to frame the man in the background was a good choice. The ad gets its point across clearly, the eye flows through the page, and it successfully makes the product they are selling the prominent feature. This entry was posted on November 17, 2010 by donovanolson. It was filed under Graphic Design and was tagged with bad page layout, CSUSM, good page layout, good vs bad page design, Graphic Design, page layout.